I’ve been here for over a year now – and I just don’t get it. Sure, if you do every tour in Australia, go out and buy drinks every night, eat expensively and stay in backpacker hostels all year (which are often over $40 per night and can be over $50!! ), Australia can be mega expensive. 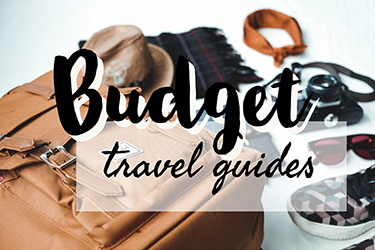 But there are so many ways to explore Australia on a budget. I’m going to be looking at all of them, because I’ve managed to travel this beautiful country with very little dollar in my bank account most of the time, and let me tell you, it is possible to save money in Australia. But today, we’re going to look at free camping in Australia, which is a fantastic way to see the land down under. 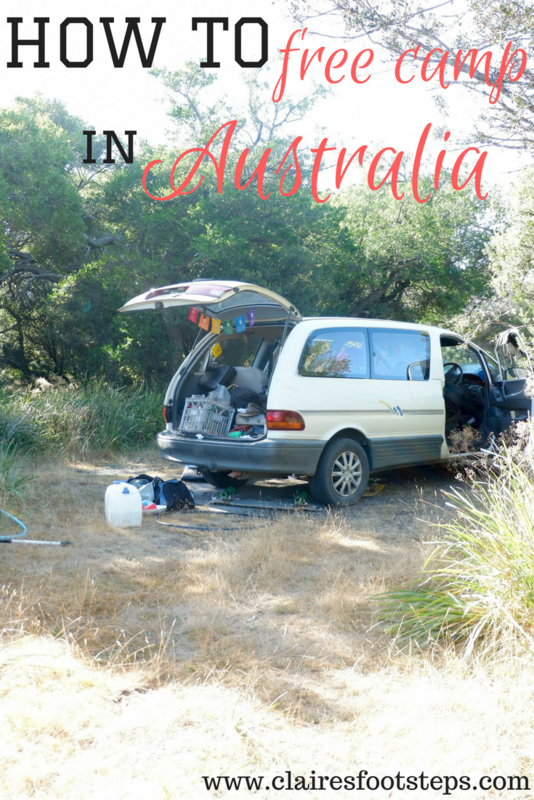 Typically, to free camp in Australia, you’ll need a vehicle. The majority of free campsites are places where there won’t be public transport to (the idea of a lot of them is that they provide an ‘overnight roadside stop’ for people driving long distances – and there’s a lot of those in Australia!). I’m not going to pretend that buying your own vehicle isn’t a huge financial burden. I’ve been pretty much continuously broke since I bought my car last April. I’d also argue that this has been the happiest time of my life, and there has been some sort of correlation between this and me being skint – but that’s another discussion for another occasion! You can buy cars for as little as $1000 – but they’re unlikely to be any good. Mine cost me $3900, then I paid $600 for a service and roadworthy, and $900 for registration costs. I bought it from a dealership, so it could have been cheaper elsewhere, but I felt safer getting a car from there than a random gumtree ad. Since then, I’ve drove over 30,000 kms and counting – during this time I have got serviced twice more (costing around $200 each time) and have paid about $1400 in repairs of things that have come up in the services. It’s not cheap, and it’s where most of my money has gone since April. But the car has given me freedom. It’s an all wheel drive vehicle and is tougher than it looks – I even took it down the almighty Gibb River Road, a 600km dirt road in Western Australia’s Kimberley region, with 4WD tracks and creek crossings. With my car, I’ve seen so much more of Australia than I ever would have without it. Most importantly, there’s room to sleep in the back of my car. I’ve folded the back seats down and put a foam mattress over the top, which I’m currently sat on, in the Daintree Rainforest, watching the rain of the Wet Tropics fall around me as I stay snugly nestled in my vehicle. I’ve lost count of the amount of nights I’ve slept in this car – but it’s been the large majority of nights I’ve spent in Australia since April. What if I don’t want to purchase a car? For various reasons, buying a vehicle isn’t possible for everybody. But have no fear – you can still free camp! Lots of people manage to find friends with cars who want to do similar road trips and, if there’s not room in their car for two people to sleep, take a tent as well. If you don’t have any road trip loving mates, there’s a ton of Facebook groups such as Australia Backpackers where people always seem to be offering/ requesting rides. Going on a road trip with people you’ve never met might seem a bit strange, but chances are you’re in the same mentality – and who knows, you might make some friends for life. Sadly, free campsites aren’t always this obvious! 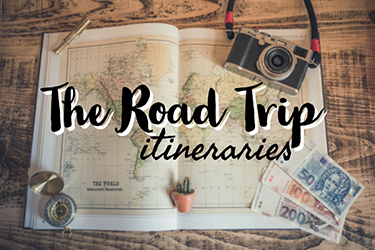 So once you’ve got your vehicle sorted and you’re on your planned road trip (I’ve got a heap of road trip itineraries – see below for details!) you’ll want to find some free campsites. First point of call – download the WikiCamps Australia app. It costs a little money – I think it fluctuates between $5 and $7 and sometimes does and sometimes doesn’t offer a free trial – but it’s probably the best $5-$7 you’ll spend in Australia. I know it’s mine. The app shows you all sorts of accommodation options – campsites, hostels, motels, and provides information for each one. You don’t have to use it to find campsites – it also comes in handy for locating drinking water, or just navigating you to the next roadside stop when you’re looking for a lunch spot. To find just free campsites, go to the map, and then press filters at the top. Change the filters to say ‘campsites’ and ‘requires free’ (or ‘no cost’ – I have them set on both, don’t think it makes a difference!). You can then browse around the map and see all of the wikicamps in a certain area. When you click on one, you can see all the facilities it has – free campsites range from ones with toilets, showers and BBQs to a just patch of grass – and read reviews about each. You can change other filters for things that you really want – eg. If you want to stay in a scenic location, need Telstra signal or can’t bear the thought of a campsite without toilets, just swipe these filters to turn them on. Top tip: some people are concerned about the security of these free campsites, and rightly so. They’re not managed, and do have the potential to be unsafe. If you have these worries, a great solution is to turn some more filters on and choose campsites with more facilities. Be extra conscious of this in remote areas – although camping in the outback can be very safe and I never had any problems, you should always make sure you stay with people close by. In my experience, free campsites with toilets often have more people, as do ones with phone reception – and of course, most people feel a lot safer spending the night somewhere with phone reception than without – when I’m road tripping on my own, I always make sure I have Telstra signal and am near a main road. Sensible right? It’s also a great idea to read the reviews – people will often say whether it’s a busy or quiet spot, and whether they feel safe or not. See how frequently they’re left, too – if there’s someone reviewing most days it’s often a very busy place. And remember, if you want to visit one of these busy free campsites, rock up early to ensure you find a space. It’s also a great idea to write reviews yourself to help out future visitors and any local businesses! These free campsites are generally there for a few reasons. Some provide a necessary stopover for weary travellers on long journeys. The distances in Australia are certainly long, and there’s often not very much in between destinations. Therefore these roadside stops are made for travellers to rest at – and by combatting driver’s fatigue they do save people’s lives. Other times, local businesses or small towns establish free campsites on their property. This is to encourage people to use their facilities and services. Other free campsites are there to aid travellers to explore the local area; which is why you’ll find some in national parks and scenic spots. 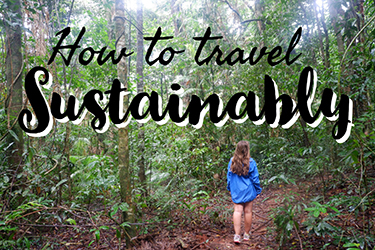 Consider why the campsite is there and act sustainably towards this purpose. If it’s a campsite in the back of a pub, go into the pub and have a pint or a meal. If it’s within a national park, take some time to explore the surroundings – or even help the rangers out and go out with a plastic bag and pick up some rubbish! This should go without saying, but don’t leave any rubbish behind. The amount of times I’ve seen people leave toilet paper and beer cans behind is ridiculous. If there aren’t any bins, take all of your rubbish with you – and more, if there’s some that others have left behind. Don’t feed or disturb any wildlife – it was their home first, and feeding encourages them to become reliant on humans. Admire the animals, of course, but don’t disturb or harass them. Think about other people around you. A lot of people drive long distances to get to these campsites, and camp life is early life. There’s nearly always somewhere to move to if you want to stay up after most campers have gone to bed. Don’t camp in places where it says not to. Camping could not be permitted for a range of reasons. It could be because crocs frequent the area (a constant anxiety of mine anywhere north of the Tropic of Capricorn), it could be sacred Aboriginal land or land under private ownership. Don’t just assume you can camp anywhere because it’s quiet! Don’t make a fire in places where it says ‘total fire ban’. Again, can’t believe I’m writing this, but some people seem to know zilch about bushfires. Total fire bans mean that a bushfire is very possible – and of course, inexperienced fire-makers could turn this possibility into a sad reality. Have a chat! Part of the fun of free camping in Australia is the people that you meet. They are typically all ages, from young backpackers to ‘grey nomads’ – older Aussies who have taken to the road. The large majority of people at these campsites are very friendly and love to share travel experiences. My best advice for free camping in Australia is: expect no more than a patch of land. Unless you turn on specific filters, you may find yourself bereft of toilets, drinking water taps and other facilities. 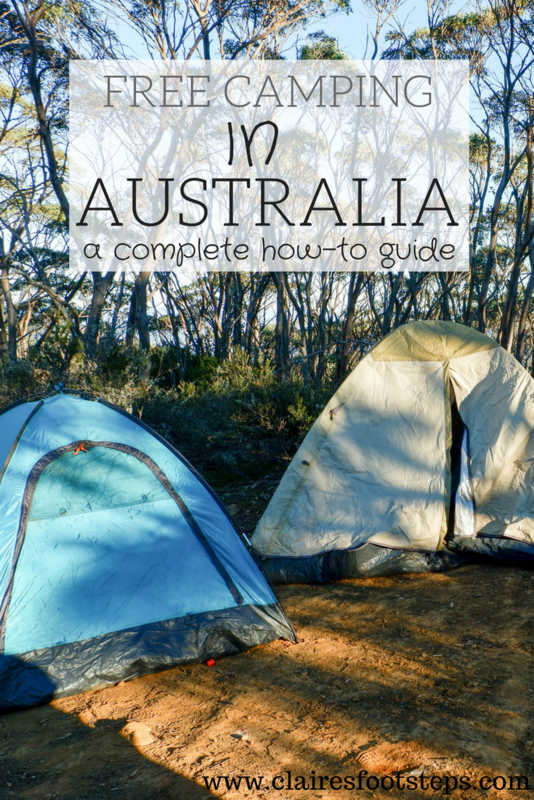 So to free camp in Australia in the most comfortable way possible, you’ll need to be self sufficient. What does this mean you’ll need? Some great camping gear, cooking equipment and a place to sleep. Sleeping bag – some camping nights can be chilly! A hydration bladder to make sure you stay topped up with water! Check out this gift list for campers for more ideas! Where Can I Free Camp in Australia? There’s free campsites in every Australian state and territory, and they range from roadside stops to beachfront sites to camp spots in national parks. If you’re wondering what road trips in Australia to take, check out these itineraries for more details. Coming soon – stay updated on Facebook for details! Do you have any questions about free camping in Australia? 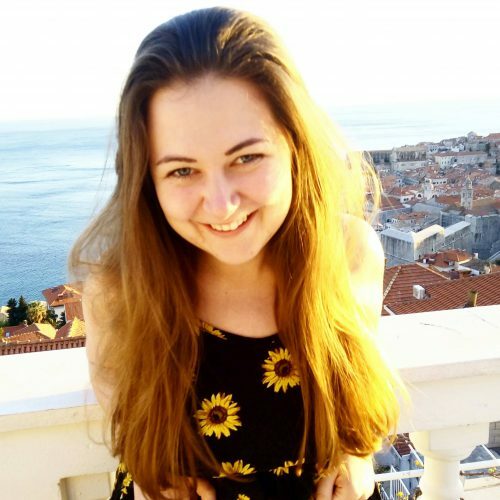 I love a chat about wikicamps and free camping in Australia! Drop me a comment below, send me an email or message me over on facebook for any questions! I’m driving from Bunbury, WA to Melbourne and have read most your articles covering the roads leading there. Just wondering what camp sites you recommend or have stayed at in Esperance, Ceduna and Adelaide?